No amount of alcohol is ‘safe’ during pregnancy. Getting drunk during pregnancy is very dangerous for your baby. Heavy use of alcohol in pregnancy can cause serious and permanent damage to your baby. It can affect their intellectual and physical development. If you can’t stop, talk to a health professional. Drinking less or stopping your alcohol use at any stage of your pregnancy, even late pregnancy, will be good for your baby. It is very dangerous for your baby if you drink in the early weeks of pregnancy. Getting drunk at any time during pregnancy can make your baby sick. Women who are breastfeeding are advised not to drink at all. Alcohol passes directly into your bloodstream and breast milk. If you drink alcohol, wait two hours for every standard drink before breastfeeding. 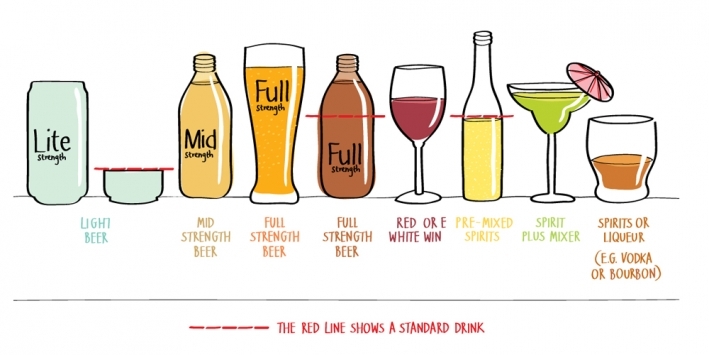 One standard drink – wait two hours. Two standard drinks – wait four hours. If you are planning to drink for a special occasion, express milk beforehand and feed this to your baby while there is alcohol still in your system. Even if you feel slightly drunk or tipsy it’s better to avoid breastfeeding. When you are pregnant alcohol goes directly into your baby’s bloodstream. When you breastfeed, alcohol gets into your breast milk.